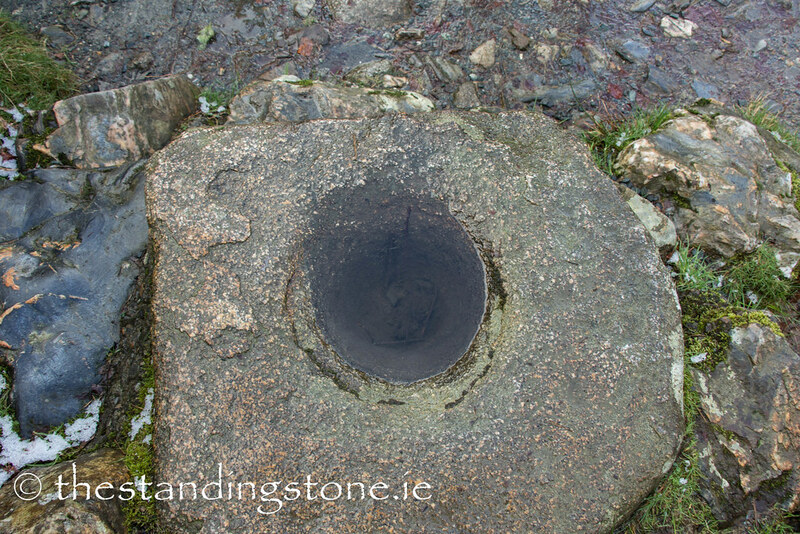 The Standing Stone: Glendalough D, Bullaun Stone, Co. Wicklow. 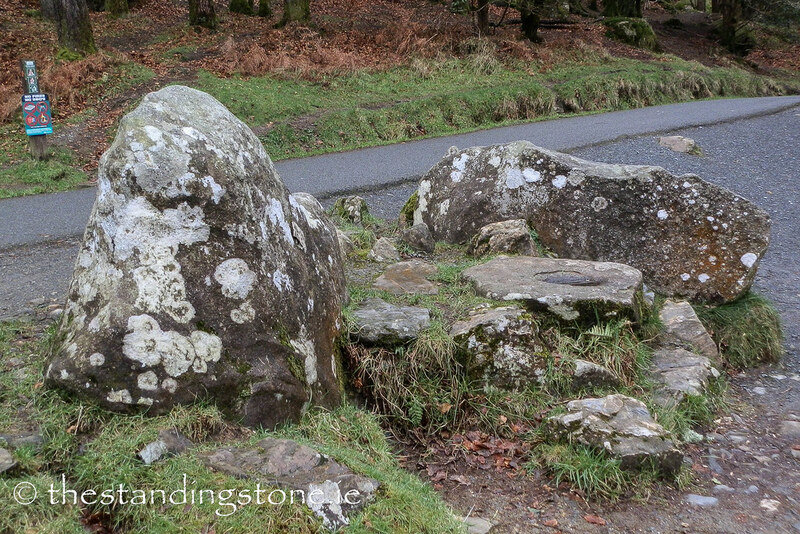 Glendalough D, Bullaun Stone, Co. Wicklow. Location – This stone is next to St. Kevin’s Church near the path. Description and History – This stone sits in a pile of stones and is often called the ‘Deerstone’. 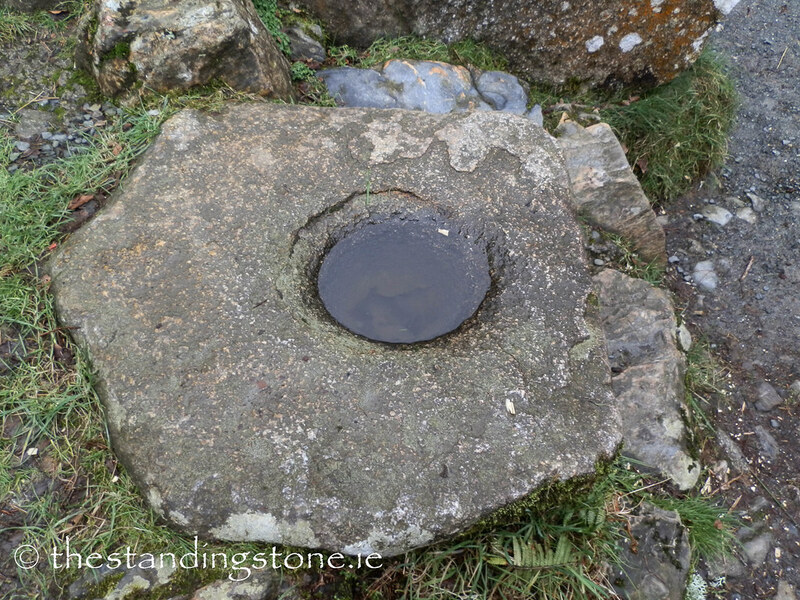 I would suspect that the stones it sits amongst are not an original feature to the site. If they are then it would appear as if this stone has some importance at the site. Difficulty – Easy as it is on the path. Quite an unusual collection of stones.